Well the Canadian cyclists like coming here because it’s a lot safer than countries like Mexico for their winter training and I suspect the Americans will be in the same boat personally I never felt threatened once, you tell folks to sod of and they do! 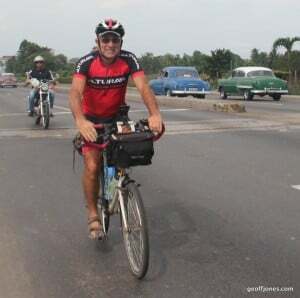 Yep Cuba offers good cycling I never got bumped into once although I had to quickly go onto a verge when a car was tailgating another one overtaking 🙁 and another time was cut up at a motorway intersection. The worst problem by a long way is the thick black smoke belching from vehicles when you are climbing up the hills. I didn’t do any real off roading – although a couple of roads like Baracoa to Moa and a section to Uvero on the South coast were very rough & quite a fewother cyclists had given them a miss by using taxis! 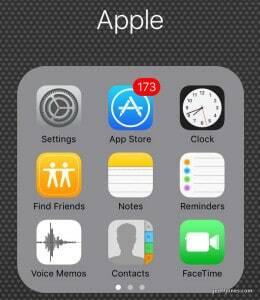 What happens after a month of no or little internet! Before you come make sure your phone has a VPN (I use Onavo) otherwise you cannot access the app store. The best navigation app by a long long way is Maps.me just download the Cuba map before you leave home and you are good to go when you arrive. I must give a huge thanks to Steve Coast who set up Open Street Map which both Gaia and Maps.me use. I met him at Re-boot the year he set it up – who would think it has come so far so quickly. For video chat download (and your friends) the Imo app its the only video talk channel that seems to work here. Of cause what you quickly find out is that most Apps are not really apps they are just browsers to a particular website! Totally reliant on a an always on 3G connection. Its ridiculous that Facebook and others don’t allow auto download of all the items in your chosen streams for like the past day/week and then re-sync when you have internet again? Here in Cuba (Dec 2015) there is NO internet on the cellular system at all anywhere and to make it worse texts will set you back 50p and calls £3 a minute. However ETECSA, the state telephone monopoly offer a card for 2 CUC for one hour which gives you access to WiFi in the larger town squares (easily spotted by groups of folk with smart phones hanging about). You have to queue at the local ETECSA store (Dark/Pale Blue building also search for ETECSA on maps.me) whilst your passport details and the cards 12 digit number are very slooowly entered into their ancient computer. There is always a queue 🙁 It has been known for lads to offer you them at 3 CUCs in the street but of cause I’m sure that is totally illegal, I also think the grander hotels offer them for sale at the desk. I always found a Casa for the night, hugely variable quality but all the same price either 20 or 25 CUC plus between 3 & 5 CUC for breakfast and a very variable amount (8-15) for evening dinner. If you are stuck when you arrive, just wander around the main square someone will be onto to you by the second circuit 🙂 also the all inclusive hotels on the South Coast offer amazing deals if you just turn up, some cheaper than casa’s! e.g. Club Amiga was 38 CUC for 24 hours of unlimited food & drink with good accommodation. Clothing I wore was totally minimal cycle shorts/cycle shirt/sandals all day and sandals, normal shorts /T shirt in the evenings. When it rains here it REALLY rains so a swimming costumewould be best! Forget gortex jackets etc etc Even when the infamous cold front sweeps in, like now, it still hotter than an English summers day. You tend to get a bit of notice by looking at the sky. Food for me was mainly fish (Interestingly the locals are not allowed beef or lobsters). I got the runs twice, both quickly cleared up with one 200mg ciprofloxacin tablet (local pharmacists sell you 20 for 2 CUC). The InReach tracker is a very nice bit of kit allowing the folks at home to see where I am wit my speed etc every 10minutes using a very neat arrangement of bluetooth to iPhone, Internal GPS and Iridium satellite communicator so you don’t need local cell services for text messages/GPS etc. Its also very reassuring to have a big red button to press for emergency services when you are bombing down a hill in a remote area. Its just a bit disappointing that you can only set up the free messages on the internet 🙁 But obviously the next trip it will be all setup. The Anker A1209 20,800ma/Hr worked a dream keeping everything fully charged on the longest of days and is amazingly fast to charge up in the evenings. Would I come again? maybe, but not soon I still have plenty of other places that I have never visited and for winter training etc in Europe we have The Canary and Balearic Islands.